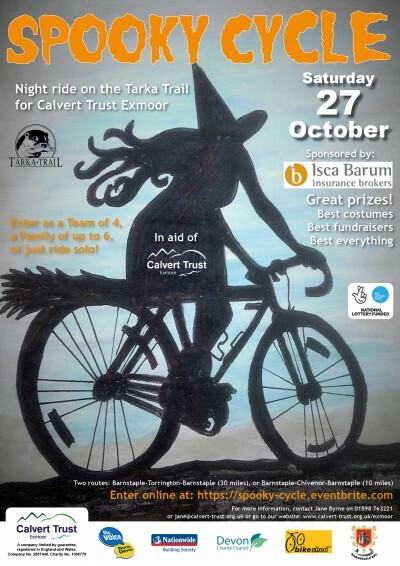 Calvert Trust Exmoor and Isca Barum Insurance Brokers launched their inaugural Spooky Cycle event on Thursday, promising a fun-filled night ride along the Tarka Trail on Hallowe’en weekend this year. The charity cycle will start and finish from Barnstaple Rugby Club, heading along the Tarka Trail on a choice of two routes: route one heads south to Puffing Billy in Great Torrington and back, and is 30 miles in total; route two heads north towards Chivenor and back and is nine miles in total. 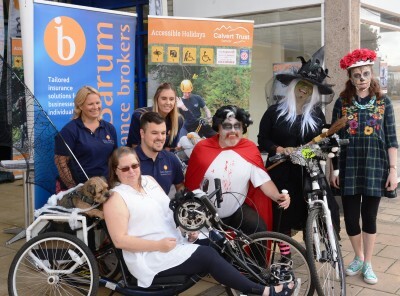 In line with Calvert Trust Exmoor’s ethos, the Spooky Cycle is very much geared to all ages and abilities, and open to families, company teams and individuals, including those with disabilities. 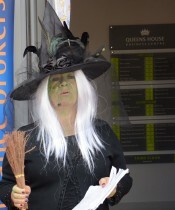 And even if you decide not to ride but just want to come along and support, there will be plenty of fun to be had at the Rugby Club itself on the night – a great alternative to taking the kids trick-or-treating. 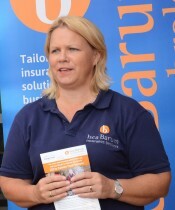 “This is our first venture into a public event of this size in North Devon,” Community Fundraiser Jane Byrne explained, “and we have received tremendous support from everyone we have talked to. Early bird tickets are available until 15thSeptember 2018 via Eventbrite: https://spooky-cycle.eventbrite.com with individual entries starting at £10, family entry starting at £17.50 for up to six members, and adults teams of four starting at £25. Once you have bought your ticket(s), you will receive further event information from Calvert Trust Exmoor, together with a fundraising pack. And don’t forget to spread the word using the hashtag #SpookyCycle.